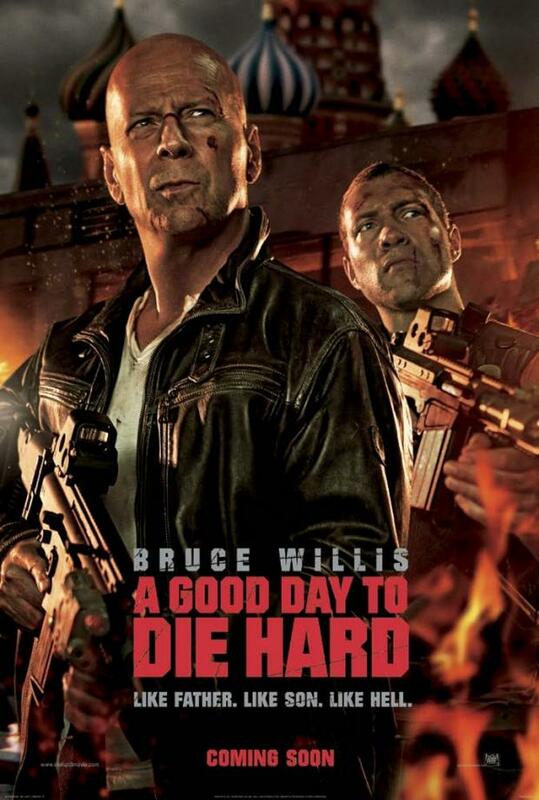 The fifth installment to the Die Hard series starring Bruce Willis way back in 1988. 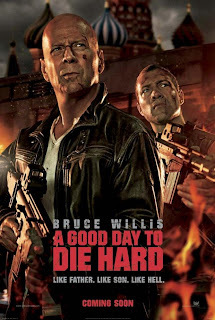 John McClane (Bruce Willis) is back again but this time around, he's just traveling to Russia to retrieve back his son who he thought was working with the bad guys and had landed himself in prison for murder. Upon arrival in Russia, John McClane Sr. wanted to talk with his son, but his son was in the midst of escaping with another convict from the trial of the courtroom where there was a big explosion and they took the planned opportunity to escape in the confusion. So McClane Sr. gave chase while helping his son by giving trouble to the bad guys that were chasing after him to kill him and retrieve the convict. All of that had ended up with both of them having an unpleasant reunion in the beginning and teaming up together for McClane Jr. to finish his task as a CIA agent. McClane Jr's mission was initially to extract the political prisoner, Yuri Komarov, out of Russia and later to get Yuri to cooperate in disclosing the whereabouts of the alleged documents that contains evidence that links the powerful political figure, Chagarin, with the Chernobyl incident which Yuri seems to know where it's kept. When extraction plan failed due to McClane Sr. delaying McClane Jr, they went with plan B that is to get to the safe house. 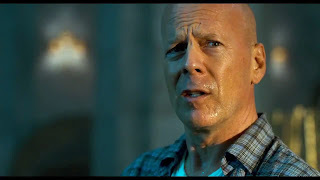 In the safe house, Yuri agreed to tell them where the documents are in exchange for him and his daughter to get out of the country and this led to McClane Jr moving with Yuri and McClane Sr on tow to get the documents and Yuri meeting up with his daughter. This happened after there was an ambush on the safe house. At the designated place, Yuri met his daughter and after retrieving the key, it seems that they were betrayed by the daughter to the bad guys. This is where the bad guys whisk away Yuri to get the documents while McClane Sr & Jr were left to fight for their lives. After getting out in that bad situation, McClane Sr & Jr team up to set out to finish the job at hand. I've NEVER watched any of the Die Hard series before but presume it must be good for them to come out with so many sequels to it. I know 1 thing for sure is that Die Hard is a guns ablazing action pack movie series just like The Expendables. You don't need to watch the previous series to know the story. You can just watch this and get along fine. One thing about this is that unlike The Expendables, this doesn't fancy my taste to it plus the beginning of the movie kinda bored me a bit. To me it's just an ok movie. So I rate it 2.5 stars out of 5.